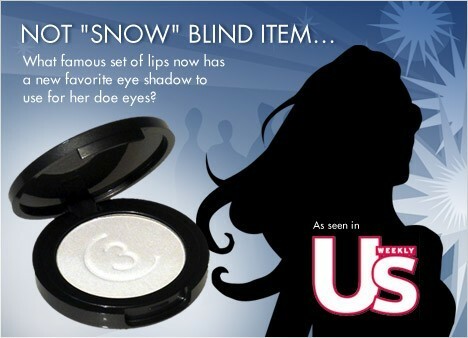 Dust a light coat of Snow Eye Shadow all over the lid from lashline to browbone. This true white shade complements all skintones and immediately lightens, whitens and brightens, creating a lovely contrast to a rich black lashline. Don't forget to line the eyes with black Eye Liner (try our Black Eye Pencil or Cool Black Shadow applied wet), use lots of Black Mascara and apply Light Clarifier to the eyes inner rims to complete the look. A sheer, matte, true white.